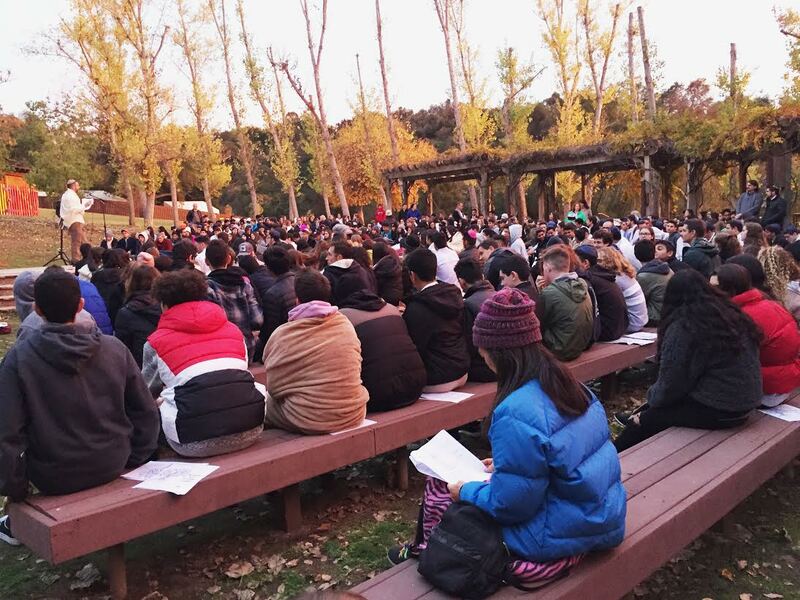 The all-school Shabbaton is always a highlight for Milken Students and this year’s was no exception! On Friday, December 14, 2018, each grade went through different rotations pertaining to their grade theme. The sophomore class went through a series of rotations that put their morals to the test to relate to their grade’s theme of “difficult choices”. The juniors split up into smaller groups and chose volunteer opportunities at the organizations of their choice, including the VA hospital, Salvation Army Children’s Center and Pacoima Beautiful. After the flurry of meaningful activities, the whole student body gathered at Camp Ramah in Ojai and participated in Torah learning, service rotations, bonding activities, and fun challenges that brought each grade closer and facilitated new friendships. This year, the seniors’ shabbaton focused on bonding activities and commemorating their accomplishments, challenges, and friendships in high school. They wrote letters to old friends and people that inspired them throughout their academic journey. Then, students who wanted to share their reflective words read these letters out loud to their peers and shared memories of moments they experienced at Milken. “The Shabbaton was a wonderful opportunity to reflect on my Milken experience and make final bonds with my grade and community. A great start to the end,” said Eyal Lavian ‘19. Now that school is back in session, the shared feeling of closeness heightened by this bonding experience has set in and has made for an even more intimate learning environment.